If you ask any tour operator what interesting sites you can visit in Tanzania, Ngorongoro Conservation Area will not miss on the list. The Area is situated within Arusha region of Tanzania and covers an area of 8292 square kilometers (3202 square miles). 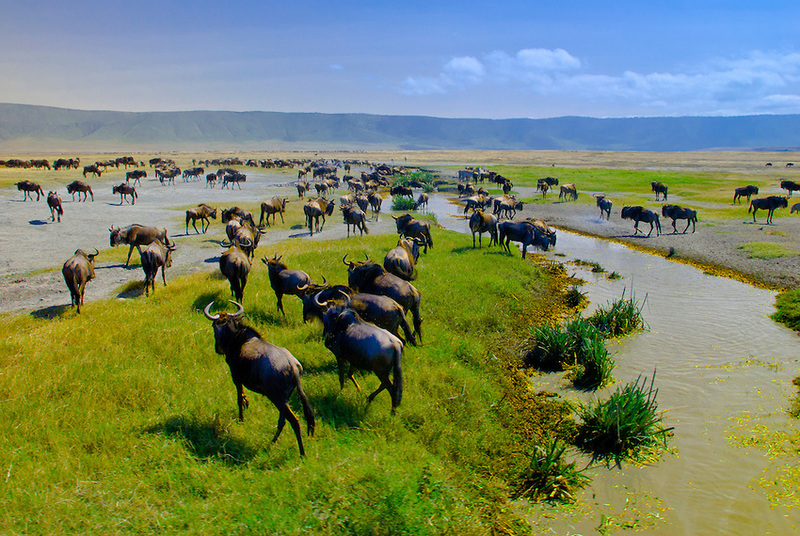 Ngorongoro Conservation Area was gazetted in 1959, is managed by the Ngorongoro Conservation Area Authority, an arm in the Tanzanian Government with its boundaries following the Ngorongoro Division and presently receives more than half a million tourists per year. It was originally established as a multiple land use area with wildlife co-existing with semi-nomadic Maasai pastoralists practicing traditional livestock grazing. 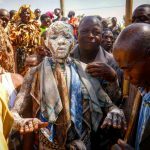 This UNESCO World Heritage Site is found at about 180 kilometers (110 miles) west of Arusha within the Crater Highlands Area of this East African country. This Conservation Area extends over part of the Great (Eastern) Rift Valley and is characterized by several habitats and landscapes comprising of Volcanic Craters, Savannah woodlands, Rivers, grassland plains, forests, wetlands, Lakes and Mountains. 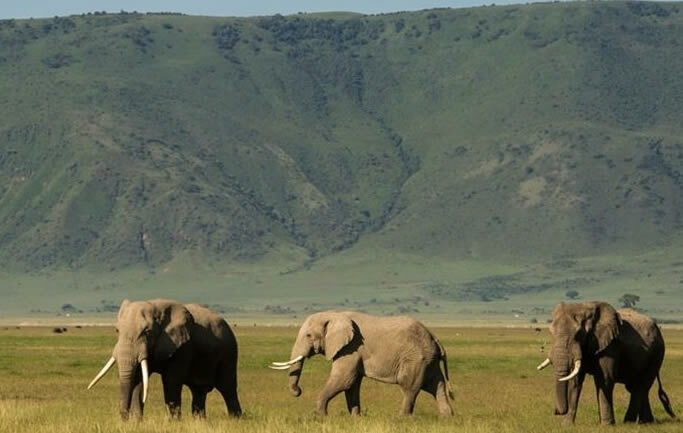 This Conservation Area was named after the popular Ngorongoro Crater, a wide (World’s largest inactive and unfilled) Volcanic Caldera found within the area and the Crater is said to have an onomatopoeic origin in that it was named by the Masai Pastoralists after the sound produced by the cowbell (Ngoro Ngoro). Based on the evidence of fossils collected within the Olduvai Gorge, several hominid species once inhabited the area for over 3 million years. 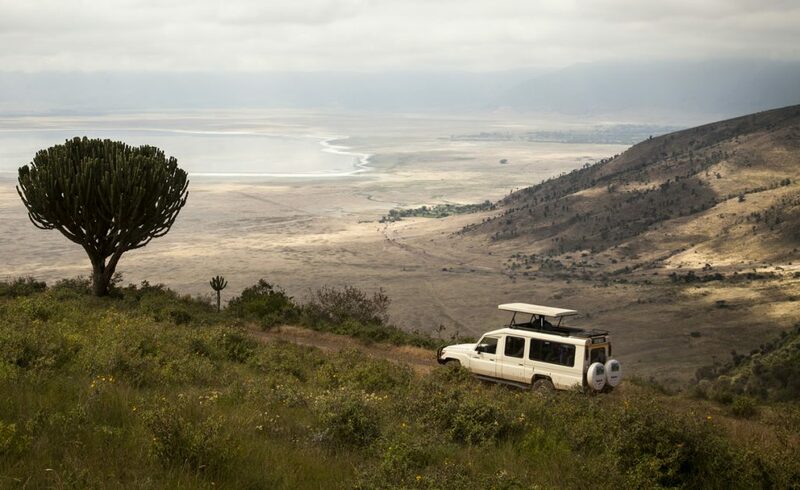 The main attraction within this Conservation area is undeniably the Ngorongoro Crater, formed when an immense volcano exploded and collapsed on itself about 3 million years ago. Besides that, the Conservation Area also offers shelter to several archaeological sites such as the Olduvai Gorge, a steep-sided ravine in the Great Rift Valley along Eastern Africa and Laetolil is found within the plains area. There are also other wildlife species especially more than 25,000 large animals including ungulates such as the African buffaloes, serval, black rhinos and Hippos. The Common elands, blue wildebeests, Thomson’s gazelles, Grevy’s zebras, Grant’s gazelles and waterbucks (near Lerai forest). Although rarely seen, the cheetahs, golden cats, African leopards and East African wild dogs are found within Ngorongoro Conservation Area. Much as it is referred as a natural enclosure for a wide range of wildlife species, more than 20% of the wildebeests and half the zebra population leave the Crater in the wet season while the elands and buffaloes do the opposite with high numbers spotted during the heavy rains. There are always numerous East African lions, jackals, black rhinos, hartebeests, spotted hyenas, cheetahs, Plains zebras within and near the Crater but also Lake Magadi, a large Lake to the south-western side of the Crater is also a hot spot for birds especially thousands of lesser flamingos. All in all, the Area is a home to over 400 species of birds like the Tacazze sunbirds, Bronze sunbirds, silvery-cheeked hornbills and superb starlings among others. 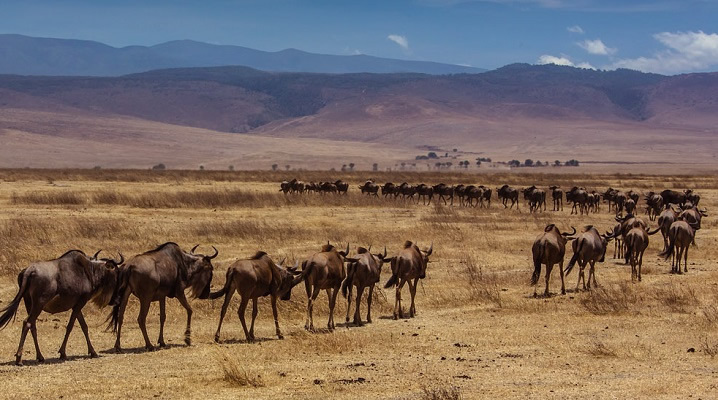 Much as it is known by few people, the annual migration involving over 2 million wildebeests, zebras and gazelles pass through the Ngorongoro Conservation Area and move south into the area in the months of December and move north in June. Therefore, Ngorongoro Conservation Area is one of Tanzania’s best Protected Areas and tourist sites for safaris and is known for the Ngorongoro Crater Lake which is the main attraction in addition to being a biodiversity hot spot boasting of high populations of black rhinos, Grevy’s zebras, leopards, spotted hyenas, lions, cheetahs and golden cats as well as more than 400 species of birds including the flamingos, Tacazze sunbirds, Bronze sunbirds, silvery-cheeked hornbills and many others. This is located in South western part of the country, about 9 hours drive from Entebbe International Park. The park is also accessed by road through Rwanda / Gatuna boarder and this journey is only 4hours. Additionally, Bwindi conservation area is accessed by air to Kihihi or Kisoro Air strips. 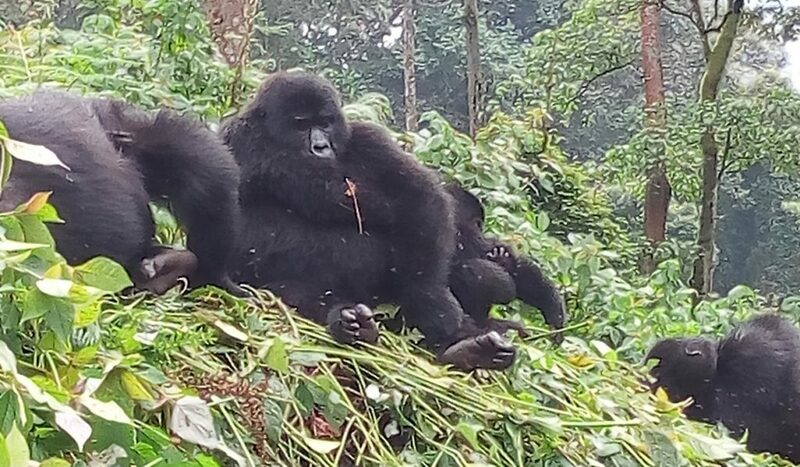 The park is famous for mountain gorilla tracking in Uganda, with half of the world’s remaining population of the endangered mountain gorillas. This is main tourist attraction in Bwindi and Uganda at large. 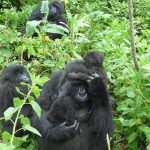 A Uganda safari to Bwindi national Park not only rewards you with gorilla tracking but also bird watching, forest walk, community tours, Batwa Experience, Canoe ride on Lake Mutanda, and gorilla habituation experience.